- Payment and investment tool. - Income from Crypto-Court activity. - Fast and low fee transaction. - High level of network protection. - High level of data protection. Q3 2018 Airdrop for TCC holders. - Q4 2018 Exchange listing. - Q3 2018 Public mining srarts. - Q3 2018 Masternodes release. 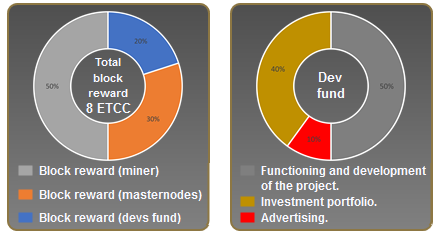 - Request for listing can be submitted by developers, investors and miners. - Select tariff, set base unit price in ETH or BTC, set trading pair, specify the min. and max. value. - Usually listing process takes place within 48 hours. For investors and miners - 72 hours. - Cryptocurrency must have available explorer. - Crypto-Court may refuse to listing crypto currency without explaining the reasons.